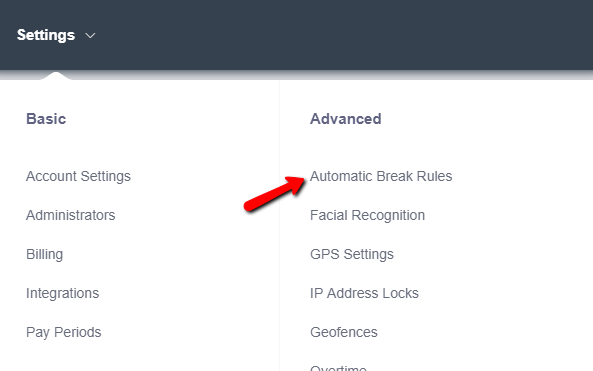 Settings -> Automatic Break Rules. From there, you can set up a break for lunch that is 30 minutes and will apply to any shift over X number of hours. Click Save. Now any time the rule applies going forward this rule will take effect. It is not retro active and will not change time already punched.